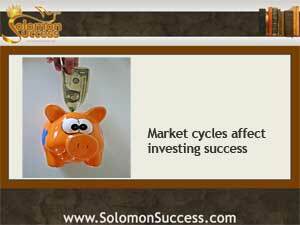 King Solomon tells us that wisdom and discernment lead to prosperity. When it comes to investing in income property, Jason Hartman does too. Keeping control of your investments and “playing the field” with properties in different markets is the cornerstones o a sound investing strategy. And since there’s no one housing market that fits all, paying attention to the patterns of in local and regional markets can boost investing success. There’s much talk in financial and economic circles about the “US housing market.” But in any ways, there’s really no such thing. While it’s possible to talk about general trends that characterize the behavior of the housing industry as a whole, all real estate really is local – and markets behave differently in various areas of the country. After that came the next phases of a typical cycle: correction, when regulators and other government and private bodies attempt to address the causes of the crash. That’s followed by a period of stabilization, when the dust settles and recovery can begin. After recovery comes revival, and as prices rise interest rates go up, conditions are ripe for a crash, which means lower prices and more affordable housing for more buyers – and the cycle begins again.